Plan for a day of cool, family-friendly fun on the 8th (Mon) at Sunway Lagoon. Next up on the itinerary: admire the striking features of Petronas Twin Towers, tour the pleasant surroundings at KLCC Park, admire the masterpieces at Islamic Arts Museum Malaysia, and take in panoramic vistas at Menara Kuala Lumpur. For ratings, reviews, photos, and tourist information, read Kuala Lumpur trip itinerary planning website . Cairo, Egypt to Kuala Lumpur is an approximately 14.5-hour flight. You can also do a combination of flight and train. Traveling from Cairo to Kuala Lumpur, you'll lose 6 hours due to the time zone difference. Plan for somewhat warmer temperatures traveling from Cairo in October, with highs in Kuala Lumpur at 38°C and lows at 28°C. Finish your sightseeing early on the 8th (Mon) to allow enough time to travel to Gunung Mulu National Park. Gunung Mulu National Park is known for nature and trails. Your plan includes some of its best attractions: hike along Gunung Mulu Summit Trek, Head underground at Clearwater / Wind Show Caves, shake up your sightseeing with a climbing tour, and snap pictures at Mulu Skywalk. To find reviews, photos, traveler tips, and more tourist information, go to the Gunung Mulu National Park day trip planning site . Use the Route module to find suitable travel options from Kuala Lumpur to Gunung Mulu National Park. October in Gunung Mulu National Park sees daily highs of 36°C and lows of 28°C at night. Finish your sightseeing early on the 11th (Thu) so you can travel to Melaka. Kick off your visit on the 12th (Fri): pause for some serene contemplation at St Peter's Church, contemplate the waterfront views at Malacca River, stop by RazKashmir Crafts, then get engrossed in the history at Baba & Nyonya Heritage Museum, and finally don't miss a visit to The Huskitory. 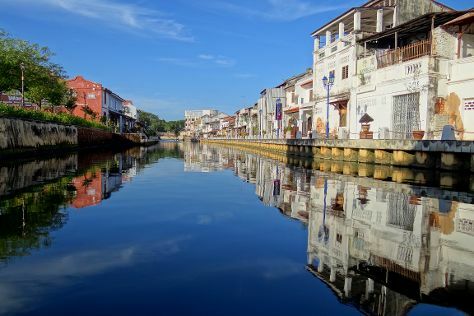 For more things to do, reviews, and tourist information, read our Melaka trip planner . Explore your travel options from Gunung Mulu National Park to Melaka with the Route module. Expect a daytime high around 38°C in October, and nighttime lows around 28°C. Finish up your sightseeing early on the 12th (Fri) so you can travel to Patong. Go for a jaunt from Patong to Chalong to see Phuket Big Buddha about 46 minutes away. Spend the 14th (Sun) among aquatic life with a scuba or snorkeling tour. Next up on the itinerary: enjoy the sand and surf at Patong Beach, stroll through Kata Beach, look for gifts at Casa Di Moda, and don't miss a visit to Bangla Road. For reviews, ratings, maps, and more tourist information, you can read our Patong online tour planner . Traveling by combination of bus and flight from Melaka to Patong takes 7 hours. Alternatively, you can drive; or do a combination of train, car, and ferry. Traveling from Melaka to Patong, you'll gain 1 hour due to the time zone difference. In October, plan for daily highs up to 36°C, and evening lows to 27°C. Finish your sightseeing early on the 15th (Mon) so you can travel to Bangkok. Bangkok is known for historic sites, shopping, nightlife, spas, and nature. 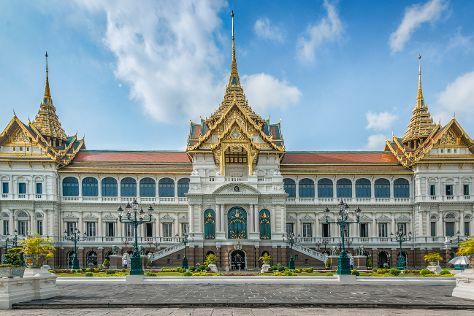 Your plan includes some of its best attractions: explore the historical opulence of The Grand Palace, relax and rejuvenate at some of the top local wellness centers, admire the striking features of Jim Thompson House, and browse the different shops at Siam Paragon. For traveler tips, more things to do, photos, and other tourist information, use the Bangkok trip itinerary planner . Traveling by combination of flight and train from Patong to Bangkok takes 3.5 hours. Alternatively, you can do a combination of flight and bus; or drive. October in Bangkok sees daily highs of 38°C and lows of 29°C at night. Wrap up your sightseeing on the 19th (Fri) to allow time to travel back home.